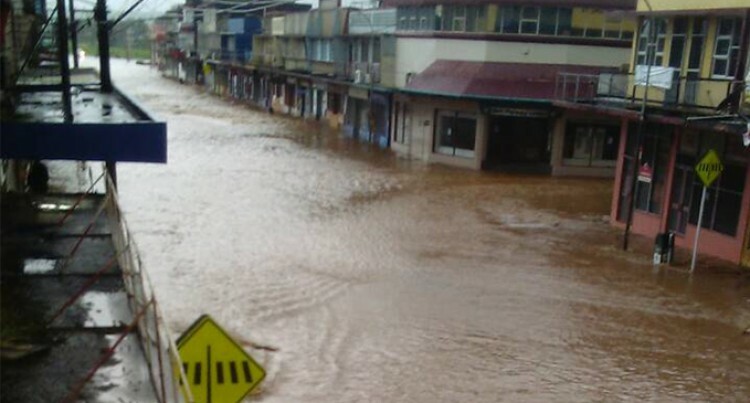 The Western Division has been experiencing bad weather, heavy rainfall and flash flooding, well before Tropical Cyclone Josie which resulted in severe flooding, broken bridges, road closures, loss of lives and livelihoods for those affected. The result was fallen FEA power posts and lines concluding with the loss of power and damaged water mains to our public utilities, cutting off water supplies to many schools including those used for evacuation centres. Those Government critics and opposition members’ negative rantings straightforward nonsense and uncalled for in this time of natural disasters, if they cannot contribute to the situation, just do the right thing; zip it, please. After TC Josie, we were again hit by TC Keni and it had made things worse and very difficult for those already affected including the employees from the Fiji Electricity Authority, Water Authority of Fiji and our health sector as many of them could not go to work and contribute to normalcy as they were badly affected too. All for the wrong reasons aspiring provisional candidates for opposition political parties like the National Federation Parties Feroz Gulam Mohammed, Fiji Labour Party leader Mahendra Chaudhry, SODELPA’s Ezikiel Sharma and Jale Baba are all busy with news on their social media whilst our Prime Minister Voreqe Bainimarama and his government team are out in the fields 24/7 for two straight weeks going with the many good Samaritans, kind-hearted ordinary Fijians and business people alike who are all going out of their way to provide comfort to all those affected in whatever way they can. Division schools in the best interest for the safety and health of our dear thousands of school children for the reasons outlined above. It is very sad indeed and heartless to see these politicians politicising the current National Disaster Emergency Situation. Please, a Kerekere Levu ( big request) to those Government critics, have a heart and donate something a little like those of us in the west are doing to assist ease their sufferings, water is still out in most areas and the same applies to electricity. The nation’s priority should be urgently based on humanitarian grounds, sympathy, empathy, concern, kindness, consideration. Toso Viti Toso (Go Fiji Go). Let all wish our Commonwealth Fijian 7s team the best of luck.